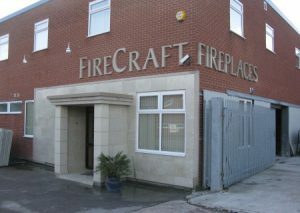 In 2007 Business justified moving the FireCraft manufacturing to a new factory. 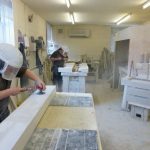 Our workshop in Syston, behind Evans Fireplace Centre, was 4500 sqft and was just too small to meet our needs and was limiting production capacity. We now have more space 14,500 sqft in total. 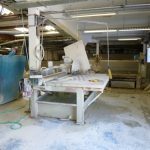 The factory is in an ideal location, just off the A5 and only 15mins from the M1 and M6. Since opening, we have had stockists from all over the UK visit us. 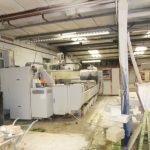 We got the factory up and running first with new, state of the art machinery, a CNC, a bigger wet saw, dust extractors and drainage systems, drying machines and compressors. Unfortunately, we no longer have a showroom facility at our factory and can no longer accept visits from the public. For more information on our services, or to view your ideal Firecraft fireplace, please visit your nearest stockist. Please note, close to Hinckley is the retail side of our business, Evans Fireplace Centre in Syston. You can find a full list of our stockists here.